Your car is the companion that drove you back and forth to college. Or maybe to your first job. Your car is an old faithful that has taken you near and far. In the back of your mind, though, you know it’s only a matter of time before your compadre is no longer a fit for your life and growing family. You will need to replace it soon. How would you handle this situation? Would you be prepared for this costly, but necessary, purchase? One method of staying ahead of the game is to create what is called a sinking fund, rather than depending on borrowed cash or credit cards. WHAT IS A SINKING FUND, ANYWAY? A sinking fund is a fund created by systematically allocating money for either the eventual repayment of a debt or replacing an asset. To put it another way, you can create several sinking funds if you so desire. Each fund serves as a savings vat for a specific, predetermined expense. People often muddle the definitions of emergency funds with sinking funds, or they believe you only need to have one or the other. On the contrary, these two financial tools are different than one another and serve their own distinct purpose. If you’re using these two accounts reciprocally, you should rethink things. For example, an emergency fund can provide financial security during an unanticipated event or crisis. Let’s say your company unexpectedly downsizes and you lose your job. Or, you have a sizeable medical expense pop up. These are real-life emergencies and expenditures that you didn’t see coming. You can’t prepare for these events individually because you don’t know they’re coming. You can only begin putting away money to pay for unexpected events as they arise. With sinking funds, you systematically save money for expenses that you know are coming. You’re aware that the expense is down the road but that it can also squash your budget if you don’t plan accordingly. So, what are some examples of items or events that would be a good fit for a sinking fund? Some people use them to save for the holidays, a car, furniture, a wedding, etc. If you don’t set up a sinking fund for these types of expenses, they will present like emergencies when they arise because you won’t have the money comfortably on hand and will be required to raise funds hurriedly. So when possible, it’s a good idea to establish both a sinking fund and an emergency fund so you can fulfill both areas of planning. So, we have established that sinking funds allow you to lay the groundwork for expected expenditures systematically. Let’s take a look at how this can specifically help you as you navigate your current budget and financial plan. Step one of creating a sinking fund is recognizing your planned expense. Next, you’ll need to figure out how much you will need for this upcoming expense. Constructing a specific, easy to understand plan allows you to budget more efficiently. 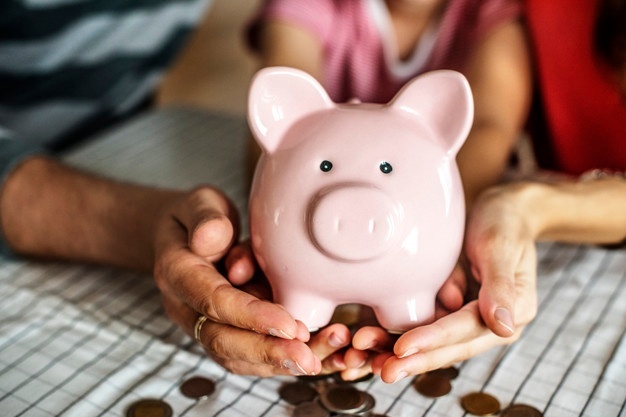 You can now build a savings arena for the sinking fund and allocate money for it daily, weekly, or monthly, whatever best suits your budgeting framework. By being ready for these planned expenditures, you’ll dodge pitfalls like being unable to pay for insurance premiums or getting stuck with hefty late fees on credit cards. Also, your budget won’t have to endure an earthquake when the payment is due. For example, say you and your spouse have car insurance payments that are paid every 6 months. For both cars, we’ll say the payments are around $600 every 6 months, or $1,200 a year. So, you set aside $100 a month in your budget and put this money in a sinking fund for this particular expense. When the bill arrives, the money is there, and there is no hiccup in your budget…and no traffic tickets for lack of insurance! A big reason to consider sinking funds is to avoid unnecessary debt. Using high-interest loans or credit cards to bridge the gap can mean paying even more for the expense in the long run. Also, if payment on the debt becomes difficult, it can harm your credit score. Will you be able to pay back the loan and the interest? You can see that not having your sinking fund ready to go and depending on debt to carry you through can put you in an even larger predicament. Benjamin Franklin said, “Rather go to bed without dinner than to rise with debt.” Let’s face it; debt is a real bummer. Wouldn’t it feel wonderful to pay cash for that big anniversary trip or birthday party, knowing that when it’s over, all that remains are great memories, and not lingering debt payments? Sinking funds are not a new concept. In fact, you’re likely using them already in one way or another and may not realize it. Have you ever saved up for a coveted trip you’ve always wanted to take? This is an example of using a sinking fund. These funds don’t have to be used for practical items; they can be used to save for leisure activities as well. So why not take the time to establish a systematic way of saving for these planned expenses? You could start with one or several funds to keep your targets organized. It’s simple enough to set up online savings accounts that you can connect and manage. Tracking your progress as you get closer to your expected payout can be rewarding as you see you will be able to take care of the expense in cash. Ask your fiduciary financial advisor to help you assess what areas of your plan would benefit from a sinking fund. For more information about this topic or to schedule a free assessment with FamilyVest, visit our website today!